Following the cessation of hostilities in 1945, the London Passenger Transport Board found itself seriously short of serviceable vehicles, partly through enemy action but equally because of the time expired nature of much of the fleet. To compound the problem, 55 T type AEC Regals and 20 Leyland Cubs were sent to assist in war ravaged Belgium and Germany. To meet the needs of the capital city, the Ministry of Supply (that still oversaw the allocation of resources in the immediate post war period) sanctioned the delivery of a number of standard provincial types of buses to London, which was still taking the tail end deliveries of utility double deckers, mainly Daimler CWA6 plus a few Guy Arabs. Thus between 1946 and 1948 the AEC Regent O661 (STL) and Regal O662/O962 (T), Leyland PD1 (STD) and PS1(TD) appeared on the London scene. From 1st January 1948 the LPTB became the nationalised London Transport Executive, and help began arriving in the form of vehicles on loan from provincial operators, notably Bristols from Tilling group companies, though Tilling itself did not sell out to the government until September 1948. In 1946 LT was allocated fifty AEC Regal O662 buses (7.7 litre engine/crash gearbox – basically the pre-war design) but also thirty one examples of Leyland’s very new Tiger PS1. These eighty one vehicles were fitted with Weymann B33F bodies of unprepossessing appearance, characterised particularly by a front destination indicator box that “frowned” over the top of the driver’s windscreen. 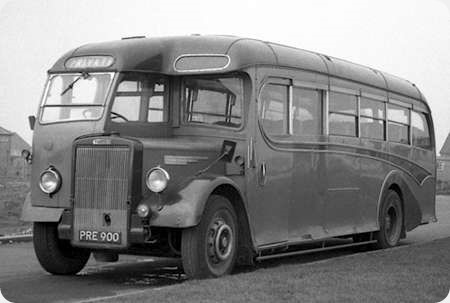 In 1948 a further thirty Regals were acquired, but these were of the O962 variety with 9.6 litre engines and epicyclic gearboxes, consistent in specification with the new RT double deck fleet. At the same time another one hundred PS1s came into LT ownership, though these still had the standard 7.4 litre engine and crash gearbox. The 1948/9 Regal and Tiger deliveries were fitted with Mann Egerton B31F bodywork (later reduced to B30F) displaying much cleaner lines than the earlier Weymann bodies. One would have expected the preselector gearbox Regals to have been allocated to the Central (red) fleet, but they all went to Country area garages, while all the crash gearbox Regals and PS1s operated in red livery. Given London Transport’s unenthusiastic attitude to “non standardisation”, these provincial type single deckers clearly earned some measure of respect, for they lasted between ten and fourteen years in LT ownership. Seen above on the A23 Brighton Road during the 1971 HCVC Run is Mann Egerton bodied TD 95, JXC 288, which entered service in May 1949 and was sold in August 1963. In 1965, now in private hands, it undertook a series of extraordinary Continental journeys to Rumania, Hungary, Copenhagen, Stockholm, Hamburg, Helsinki, Lenningrad, Moscow, Warsaw and Berlin, followed, in 1965, by a trip to France and Spain. Then again in 1966 TD95 went off to France, Belgium, Prague, Offenbach, Budapest and Belgrade. Throughout the performance of this amazing machine was exemplary. It then passed into preservation in May 1967 to be restored into its previous LT guise. In that form, as with all Central Area single deckers of its time, the front entrance has no door at the insistence of the Metropolitan Police, who clearly took the Spartan view that the possibilities of a passenger falling out or incurring influenza from draught were rendered insignificant against boarding and alighting delays. The seating capacity of 30 seems rather low for a full sized post war halfcab saloon, most provincial versions averaged around 35 seats. Did these TDs have a standing area at the front with inward facing seats or was it a luggage pen which took up some of the space? I rather think that, in view of Roger’s views on the attitude of the Metropolitan Police, the reason for the low seating capacity lies in that direction, rather than standing area or luggage pen! The full service life of these buses shows that LT could successfully operate standard provincial designs when they put their minds to it. This opens up the oft-debated cherry – was the Routemaster really necessary? Would PD2’s, Regent V’s or CVG’s have done the job of replacing trolleybuses and later on the RT family just as well? All were available in semi-auto form which would probably have been a minimum requirement for LT. Manchester, Leeds, Sheffield and Glasgow for example seemed to manage and Birmingham even got large numbers of Crossleys to work. Food for thought! I know the Green Line and Country area RF’s had doors, whereas the central area red versions didn’t, was it the same story with these? Pete’s comment is true, but it is also relevant to remember that the T&GWU of the time had considerable influence upon the vehicle configuration and seating layout of the LT fleet. These Tigers were used on intensive urban routes where low bridges and other obstructions prevented the operation of double deckers. Free movement of the conductor and easy access/egress for passengers would have been important issues. Philip raises an interesting point. Could London Transport have managed without the Routemaster? I think that, yes, it probably could, but some curious features of the London Transport engineering situation have to be taken into account. The RT/RTL/RTW/RM families were designed to be taken to pieces like Meccano for processing through the Aldenham overhaul system. Firstly, however, did LT need a fleet of some 2760 Routemasters in the first place? When the initial deliveries went into service in 1959, LT already possessed a surplus of RT and RTL buses. The last RT deliveries came in November 1954, and 81 went immediately into store until 1958/59 when the RM production scheme was already in progress. Similarly, 63 of the last RTL deliveries were stored until 1958. On the grounds of ‘non standardisation’, the 120 entirely sound Cravens bodied RTs had already been sold off in 1956 when they were only between eight and six years old, and, by 1961, over 200 of the earliest RTs (discounting the so called ‘pre war’ machines that were withdrawn in 1955 when they were 13 to 15 years old) had gone when they were only some 10 years or so of age. Nonetheless, ever besotted with its inward thinking, LT brought out the costly Routemaster, claiming that the capacity increase of 8 seats over the RT family was essential for trolleybus replacement. (It seems astonishing now that London Transport seemed utterly exempt from any kind of cost constraint, but the profligate attitude was to continue in later years with the catastrophic Merlin/Swift/MetroScania charade and then the Daimler Fleetline debacle.) Undoubtedly, standard offerings from the manufacturers catalogues could have provided entirely satisfactory fleets for the Capital’s public transport needs, but for the rigid LT engineering system. London Transport did not employ, at its garages, engineers as they were understood by municipal or company bus operators. London Transport had ‘fitters’. If anything went wrong, that part was simply removed and sent to Chiswick in return for a replacement item. Mechanical analysis was not part of the scheme of things. That was Chiswick’s job. Likewise, body/chassis overhauls were totally centralised at Aldenham, where the chassis and body were separated and sent down different overhaul tracks, the chassis being dealt with more quickly than the bodies. At the output end, the next completely rebuilt emerging body and chassis were put together and given the fleet number of a bus that had just gone into the works. Thus, identifying a London bus by its fleet number was essentially meaningless. Nevertheless, the Aldenham system could have worked equally well with jig built bodywork mounted on a standard provincial chassis type. Indeed, the early Routemasters were exceedingly troublesome, and it took some years of development to make them truly reliable. I only travelled on one of these once, on the 240A. I have wondered whether that was part of the original 240 route left for single deck operation after the rest of the route was converted to double deck buses during WWII. I do not recall seeing a standing area or a luggage pen. I doubt if the standard double deck buses of the mid-1950s would have done the job as London Transport specified automatic gearboxes for the red Routemasters and semi-automatic for the green country area and Greenline Routemasters, probably to provide a mechanically common set of buses for the country area depots. In any case, Greenline drivers sometimes worked a country route when necessary (they were paid the same as the central area crews, which was slightly more than that paid to the country area crews). That said, I never warmed to the Routemaster. My favourites in the late 1950s and 1960s were the Southdown Guy Arab 4s wit Park Royal Bodywork and Weymann-bodied Dennis Loline IIIs. The offside seat behind the driver was a single seat on the central area TDs as illustrated here – www.flickr.com/photos/ (taken at a route 227 running day) – think the idea was to give the conductor somewhere to stand without being in the way as passengers got on/off. Referring to Philip Halstead’s comment about standard types, the Guy Arab (which, like the others, was available in semi-automatic form) should not be forgotten, particularly in view of the large number operated in Hong Kong. It’s been suggested that if something will work in Hong Kong, it will work anywhere! As for Birmingham’s Crossleys, they were of the later type with engine design modified by AEC. Apparently they were more successful than the CVD6s that BCT were obliged to take because of a shortage of Gardner engines. Peter, only the second half of the Birmingham Crossley DD42/6 1949/50 order for 260 buses, numbers 2396-2525, had the HOE7/5B downdraught engine. 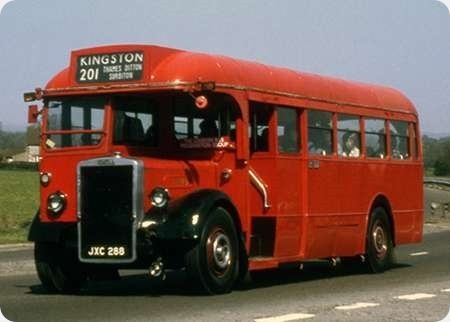 The first 130, numbers 2266-2395, plus the earlier 10 buses delivered in 1946, numbers 1646-1655, were delivered with standard HOE7 engines that were retained to the end. Even so, as you point out, Birmingham regarded the Crossley engine more highly than the contemporary Daimler CD6, individual examples of which proved to be extremely variable in quality. I apologise Peter for omitting the Guy Arab. I well remember the Hong Kong Arabs while living out there in the mid-1980’s. They would storm up Stubbs Road on the route on the Island over the mountain to Aberdeen. At the summit they would be boiling profusely but by the time they had thundered down the other side and had chance to cool down a bit they were ready to return. The same can be said about the DMS’s. London offloaded them over there in large numbers saying the were unreliable or some such excuse. They operated quite happily for CMB in far more taxing conditions than London. 30deg of heat, mountainous terrain, severe traffic congestion and some ‘enthusiastic’ handling by the Chinese drivers. I think I might have got on well with the bus drivers in Hong Kong, as my colleagues used to say my style of driving was ‘enthusiastic’! I suppose they were right. Southampton to North Lancashire or the Southern end of the Lake District as a day trip . . . Yes, some of them used a different word! Interesting to see mention of Guy Arabs in a thread on Leyland Tigers. Have no personal memories of either as too young but I have pictures of my grandfather stood in front of both a Guy Arab and a Leyland Tiger TS8 while he worked for Thames Valley. Pictures of Thames Valley liveried Guy Arab’s I can find but a Tiger TS8 with ECW B35R coachwork in Thames Valley livery seems to be more of a challenge. Andrew: that was Thames Valley’s golden age—at least for enthusiasts! There are also some pictures of TV TS8s in the later pages of Thames Valley 1931-1945 and near the beginning of Thames Valley 1946-1960, both written and published by Paul Lacey. The last of the TS8s were withdrawn in October 1954. As a young passenger I loved the "woody" sound of the engine, the groaning in second gear, the gentle whine in third and the big Clayton heater on the front bulkhead. 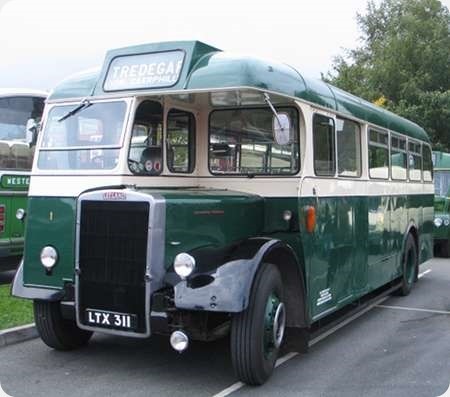 Fleet number 1 in the small Caerphilly concern was allocated to this less than common Massey-bodied single-deck Leyland PS2/5. Chassis number is 520623 and the body is number 2083 B35F. This image was taken at Bus & Coach Wales in Merthyr Tydfil 14/09/2014. Very nice, Les! Thank you for posting. I particularly like the shape of the ‘valance’ forward of the door.